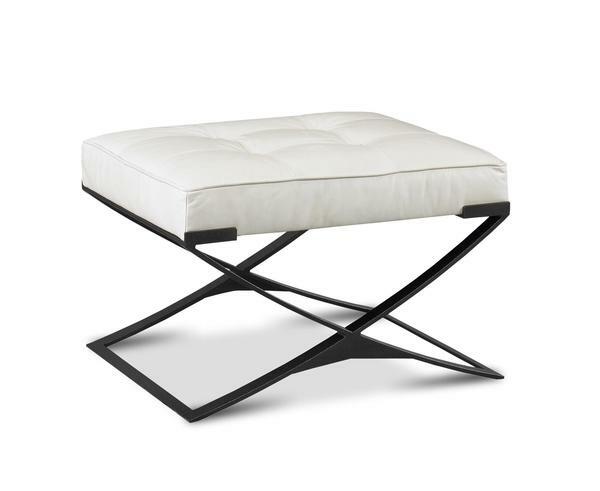 The Parker Ottoman by Precedent features the clean, smooth lines of contemporary style. Parker is playful yet sophisticated, with a slender cushion sitting atop a metal base. The Parker Ottoman is available in two sizes and takes to your living room or family room with ease. The Parker Ottoman is crafted by Precedent, who has been building fine furniture for over thirty years. Precedent is based in North Carolina. They use certified lumber and recycled steel for their furniture, adding to an eco friendly vibe. Precedent guarantees their frames for life and their cushions for two years. Get to know Precedent in these quick video clips showcasing their style. Our team of Furniture Specialists is here to answer your questions. Email or call us with any concerns. We thank you for shopping with DutchCrafters. Width: 27 ½" or 41 ½"